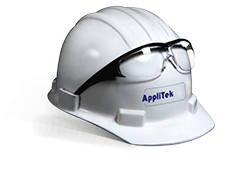 AppliTek has an extended sales, marketing and service network all over the world. Currently, we have a global coverage in more than 120+ countries, with several hubs in the USA, in Thailand and in Saudi Arabia (serving MENA market). In China, we have set up a close cooperation with a major environmental player, with main offices in Beijing, Shanghai, Guangzhou, Chengdu, Chongqing, Tianjin, Suzhou and satellite offices spread over the entire mainland of China.